In 1992, an elderly woman in New Mexico bought coffee at a McDonald's drive through, spilled it on herself, and successfully sued for nearly $3 million. This story is the poster child for the absurdity of the American legal system. Nearly every late night comic has a bit about suing over hot coffee. In a Seinfeld episode, Kramer burns himself while hiding coffee in his pants as he enters a movie theater. “You’re gonna walk out of [the courtroom] a rich man,” his lawyer tells him confidently as they prepare to sue the coffee shop. There’s just one problem: the story is incredibly distorted. The elderly New Mexico resident, Stella Liebeck, was not greedy and her lawsuit was not frivolous. In fact, it’s an example of America’s civil justice system working as intended. The story of Stella Liebeck is one of rumors and assumptions. But it is also, arguably, part of a much larger story: the least publicized death of a constitutional right in the history of the United States—the right to a trial by jury. After Mrs. Liebeck bought coffee and breakfast at a McDonald's drive-through, her grandson, who was driving, pulled over so she could add cream and sugar. Since his car had no cupholders, she placed the cup between her legs. When she fumbled with the lid and spilled the coffee on her sweatpants, she began to scream. “All I remember is trying to get out of the car,” Liebeck later explained. “I was in terrible pain.” She went into shock, and her grandson rushed her to the emergency room, where she underwent surgery and received skin grafts. She had third degree burns on 6% of her body; the pictures of her injuries are shocking. McDonald's served Mrs. Liebeck coffee at 180-190 degrees fahrenheit. According to her surgeon, “Any hot liquid, if it’s in the range of 180 degrees or hotter, if it’s in contact with your skin for more than just a few seconds… if you’re lucky it will produce second degree burns. If you’re not as lucky, you will get 3rd degree or full thickness burns requiring skin grafts and surgery.” Liebeck spent a week in the hospital, amassing hospital bills of $10,000. Still, Liebeck did not sue. Her family wrote a letter to McDonald's asking the company to pay her hospital bills and check whether its coffee machine was faulty. McDonald's rebuffed them, offering $800, so they found a lawyer. But even the outcome of the lawsuit—a $2.9 million verdict that people saw as Liebeck hitting the jackpot—was a fiction. During the course of the trial, McDonald's employees said that serving coffee at 180-190 degrees was standard policy. A McDonald's executive described it as an “industry standard” that responded to customers wishes for coffee that would still be hot after a car ride home. He also said that the 700 complaints McDonald's had received about the coffee causing burns did not concern him. It was not significant given the size of the McDonald's customer base. His response may have seemed reasonable given the huge scale of McDonald's. But to a jury looking at a grandmother dealing with terrible injuries—Liebeck required two years of additional medical attention that greatly increased her medical bills—it seemed callous. 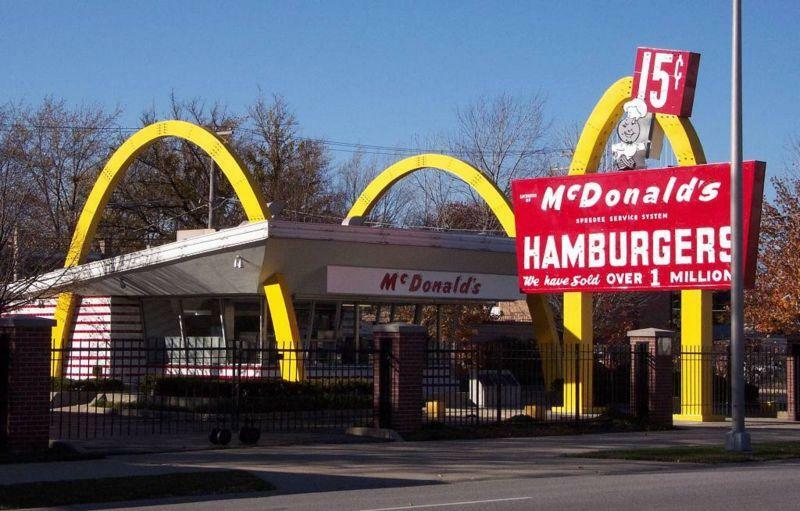 The jury decided to award Liebeck $200,000, which was less than the $300,000 recommended by a mediator in a settlement that McDonald's rejected before trial. The jury, however, decided Liebeck was 20% at fault since she spilled the coffee, so they gave her $160,000. In addition, they awarded her around $2.7 million (two days of McDonald's coffee revenue) in punitive damages. In civil cases, since there are no criminal sentences, punitive damages exist to ensure companies change their behavior. The judge reduced the punitive damages to $480,000, for a total of $640,000. McDonalds appealed and later settled out of court for an undisclosed amount believed to be between $400,000 and $600,000. But the media only noticed the initial multimillion dollar figure. Major news broadcasts and newspapers picked up the story from local New Mexico press, and then reporters all over the world repeated the story. But it was like a giant game of telephone, with the nuance never making it beyond local press. Retro Report describes how the word count went from 700 words in local press, to 349 in the first Associated Press story, to “as few as 48” even in major papers. Everybody now thinks it's easy as hell to sue and get big money. Lots of people think the court system and our laws are all fucked up… People sue over trivial stuff all the time hoping to cash in. Most of the time, they get their case dismissed or they get a nominal settlement after they've invested tons of time and effort in their case and… just want out of the case already. Susan Saladoff, a lawyer who made a documentary about the McDonald's coffee case called Hot Coffee, has called frivolous lawsuits a myth. In an appearance on the "Colbert Report", she described all the checks that exist to prevent greedy people from suing for unreasonable amounts of money: judges can throw out frivolous cases and fine people for wasting the court’s resources, a jury deliberates on the right amount of damages to award, judges can reduce the compensation given, and defendants can appeal a ruling. Saladoff has represented clients in liability lawsuits, so she is not an objective observer. But we see some of these restraints at work in the McDonald's case. A jury deliberated and decided on an amount that was close to what a professional mediator had suggested, and the judge reduced the amount awarded. A different jury and judge could have found differently. (Coffee is often served commercially at temperatures approaching or equal to that served to Stella Liebeck, so finding Liebeck 80% or 100% responsible may have been reasonable.) But the result was not absurd. As designated in the constitution, a jury made the decision. When the result of a lawsuit make headlines, it is usually because of a multimillion dollar verdict. Those verdicts come from punitive damages, which are only awarded when a company seems unwilling to change its behavior. In this way, individual court cases can serve the public interest. Despite the rhetoric of businesses under attack by greedy Americans, the available evidence contradicts the perception of a frivolous lawsuit epidemic. As Priceonomicsreported previously, rather than exploding, the number of tort (injury) cases in America decreased 25% from 1999 to 2008 and fell 9% in the nineties. Only five percent of civil cases result in punitive damages—for an average $50,000 to $60,000, not millions. Today, the full story of the McDonald's coffee case has gone viral. A quick Google search will reveal many media outlets that ran stories explaining that the verdict was justified. Recently, Upworthyposted a video produced for the New York Times about Liebeck’s story. That went viral too. The reason revealing the truth of Liebeck’s case finds such an interested audience is that the misinterpretation of Liebeck as a greedy woman taking advantage of a broken legal system is accepted as fact. And that has a lot to do with how it was used as a public relations prop by special interests. Tort law refers to lawsuits like the McDonald's case. In the mid 1990s, Republicans made a push for tort reform: reducing the risk of frivolous lawsuits through legislation that capped the damages that can be awarded in lawsuits. As shown in the above quote cited by Retro Report, the distorted version of Stella Liebeck’s case became “exhibit A” in the case for tort reform. The documentary Hot Coffee delves into the details of the push for tort reform. It’s a playbook that will be familiar to those following special interest lobbying. In broad strokes, the documentary charges that major corporations donated money to the US Chamber of Commerce, and individuals like Karl Rove directed that money to the election campaigns of politicians willing to support tort reform. Republicans enjoyed the backing of America’s largest corporations while getting to hammer opponents on supporting greedy parasites like Stella Liebeck. In 1995, Bill Clinton vetoed a tort reform bill that would have reduced the impact of lawsuits through caps on damages. Businesses then took tort reform to the state level, funding state political races and placing ads under the the names of associations that seemed like a group of concerned citizens. The ads hammered home the message of frivolous lawsuits, often citing the McDonalds case. Many states passed tort reform bills. When judges began overruling tort reform—finding that politicians placing caps on lawsuit damages contradicted the 7th Amendment’s guarantee to a trial by a jury—Rove and co. used the same strategy to influence campaigns for state supreme court seats. Susan Saladoff, a former trial lawyer and the producer and director of the Hot Coffee documentary, says that “everyone thinks a lawsuit is frivolous, until it’s your own.” A cap on damages of one or two million dollars seems reasonable in the abstract. But she insists that we let juries and judges decide because, in practice, a cap can be unjustly limiting. Hot Coffee features the example of Lisa and Mike Gourley, a couple in Nebraska who were once happily ignorant of the cap on damages (currently $1.75 million) passed as part of the state’s tort reforms. When Lisa noticed less kicking from her twins one day during her pregnancy, she visited a doctor who listened to their heartbeats and reassured her that everything was fine. After noticing less and less activity from the twins, Lisa and her husband returned to the hospital. A different doctor performed an ultrasound, then ordered an emergency cesarean section. One of the twins came out healthy; the other, Colin, suffered extensive brain damage due to a lack of blood flow and oxygen depletion. Confused and given no information from the hospital, the Gourleys ultimately landed in court. They learned that the first doctor had twice been successfully sued for malpractice, and that the doctor should have ordered an ultrasound, which would have discovered the problem. Mike Gourley states in the documentary that they were told $6 million would pay for a lifetime of care for Colin, who needed serious therapy, a lifetime of care, and would never be able to work. A jury awarded $5.6 million, but due to a cap, they received only $1.25 million. To Saladoff and the opponents of tort reform she interviews, this is the tragedy of cases like Liebeck: They are used to convince people that businesses need protection from greedy lawsuits, when really tort reform protects businesses from paying for their mistakes. The cry of frivolous lawsuits, as noted in Hot Coffee, has also motivated the push for arbitration contracts—a private alternative to a court case. We have examined private arbitrations at length before. So we refer readers interested in several thousand words about legal history to our previous article. In brief, businesses have embraced arbitration as a way to avoid courtrooms. If companies in a legal dispute agree to it, they can choose arbitration as an alternative to a trial. They hire someone—often a retired judge who works for a private arbitration firm—to hear the merits of a case and make a decision that is enforceable in court. Without the need to wait months for a court date or hear lawyers argue endlessly about proper legal procedure, arbitration promises a swift and cheap resolution to legal disputes. Companies can also hire arbitrators with requisite expertise. When Apple and Samsung sued each other, they could have benefitted from arbitration by arguing their case before a judge familiar with patent law and engineering issues—instead of a jury of laypeople. American judges and lawyers have complained about the slow-moving, overburdened American court system since the early 1900s. Judges began advocating for alternative dispute resolutions, which they saw as a way to clear judicial backlogs. By 1985, Chief Justice Warren Burger had embraced arbitrations. This is a problem. The legal basis for outsourcing legal proceedings is a 1925 law passed by Congress specifying arbitration as an option for “merchants” who agree to a private alternative. But the examples cited above are more secret coercion than informed choice. Most people don’t realize they give up the right to sue when they buy a car. Even if they did, they have no alternative given that every dealership requires that people agree to binding arbitration. If you are ever involved in arbitration, you should be skeptical that you'll get a fair hearing. Arbitrators are former judges or lawyers hired by large arbitration firms, and arbitration agreements generally include a clause allowing the company (and not the worker/customer/user) to choose an arbitrator. This means that arbitration firms have an incentive to side with the company every time in order to get repeat business. A number of credit card companies send customer disputes to arbitration firms already filled out with a decision in the credit card companies favor. All the arbitrator needs to do is sign and collect his or her paycheck. Like with tort reform, critics argue that this violates citizens’ 7th amendment right to a trial by jury, since workers and consumers have not truly chosen arbitration as an alternative. But the practice persists. Everyday, Americans unknowingly sign away their right to a trial. In 2000, car dealers successfully lobbied Congress to ban car makers from including mandatory arbitration clauses. It would “unilaterally deny small business automobile and truck dealers rights under state laws," they told Congress, "that are designed to bring equity to the relationship between manufacturers and dealers." This is almost pure hypocrisy: lobbying for protection from a policy that they force onto every one of their customers. We encourage readers to watch the Hot Coffee documentary—and to do so with the knowledge that its producer, as a trial lawyer, is not an objective outsider. It’s reasonable to believe that small businesses and hospitals are burdened by unnecessary lawsuits. The medical community is full of debate about malpractice lawsuits, and Hot Coffee focuses on where its argument is strongest. To take just one example, a rebuttal in Forbes points out that the caps on damages that hurt the Gourley family exist in only two states, and that most tort reform focuses on vague and easily inflated “pain and suffering” damages. The Bloomberg Administration’s actions reflected the complaints of businesses that claim that too many people reflexively sue in hopes of winning easy money. (Although it’s worth asking whether all the PR about frivolous lawsuits helps create the illusion of easy money that leads people to sue.) But it also shows how suing for damages can be a public service, holding organizations accountable. When the Times reported on New York City beginning to fight more lawsuits in court, it reported on a case involving a man thrown to the ground and arrested after flashing a peace sign to his cousin, who was being driven in a police cruiser. (The police said he made a shooting gesture.) The man sued the city, and he may have been motivated by the $125,000 settlement offer his lawyers made to the city. (Once in court, his lawyers suggested $17,000 to a jury.) The city fought the lawsuit, and a jury awarded the man $600. “I can’t imagine the client was happy about receiving $600,” a city lawyer told The Times. That may be true. Then again, the jury did find that the police mistreated the client. After facing abuse by the police, the man could have stayed quiet. The man’s lawsuit, however, made the police acknowledge an abuse of their authority, and it took substantial time and effort to achieve. That is valuable, regardless of whether the man's motivation was money, accountability, or both. The question of whether Americans are too litigious is more complicated than a simple reading of any single case. But the assumption that Americans constantly sue for absurd reasons and receive millions of dollars warps the debate, and it has allowed the potentially dangerous (and unconstitutional) embrace of tort reform and mandatory arbitration to march forward without a clear understanding of the stakes. If you need one more reason to regard business complaints about the burden of lawsuits with a healthy dose of skepticism, consider this: We’ve cited how the number of tort cases decreased in the nineties and 2000s; meanwhile, from 1998 to 2008, the number of contract disputes between companies increased 63%. Businesses complaining about greedy Americans being overly litigious may want to look in a mirror. Our next article explains why some U.S. officials want the federal government to kill 45,000 wild horses. To get notified when we post it → join our email list. A version of this article originally appeared on Priceonomics on May, 10, 2014.